Diabetes is a lifelong, chronic disease caused by either the body’s inability to produce sufficient amounts of the hormone insulin (Type 1), or the body developing a resistance to the insulin it does produce (Type 2). Either way, the result is chronically high levels of sugar in the bloodstream. If not properly controlled, those high sugar levels can severely damage many organs and systems throughout your body, including your feet. This process may take years or even decades, but given enough time most people who have lived with diabetes long enough will develop foot complications. However, proactive diabetic foot care can help you recognize and prevent problems before they become severe. Elevated levels of sugar in the bloodstream damage your feet in two significant ways. Too much sugar can be toxic for nerves, and interferes with their ability to send and receive signals to and from the brain and other organs. While any nerve in your body can be affected, the peripheral nerves of the feet tend to be the most vulnerable and the first to show symptoms of the disease. When sensory nerves are affected, you may slowly lose the ability to feel your feet properly. If this is severe, you may not even notice cuts, bleeding, or other injuries until long after they occur. You may also be more likely to lose your balance and fall. Damaged nerves can also alter the natural sweat secretion and oil production on your legs and feet, which can cause skin to break down. Cells and tissues can’t get the oxygen and nutrients they need, which may lead to leg pain, cramping, and in severe cases even tissue death. Elevated levels of sugar in the bloodstream damage your feet in two significant ways. The combination of these two factors can lead to even more severe complications down the road. When sensory nerves are affected, you may slowly lose the ability to feel your feet properly. If this is severe, you may not even notice cuts, bleeding, or other injuries until long after they occur. You may also be more likely to lose your footing or trip and fall. Foot ulcers and wounds. Skin on your feet in high pressure areas may break down, or your body may not be able to heal a minor cut, sore, or bruise blister. Amputations. When a diabetic wound does not heal, there is a greatly increased risk it will become infected. If that infection is not treated and reversed in a timely manner, and tissues begin to die, you may have no choice but have part of your foot or leg amputated. Charcot foot deformity. If your diabetes is poorly controlled and neuropathy is severe, you may not even feel it when weakened bones and joints begin to break and disintegrate. This can lead to severe deformity and disfigurement of the foot. Falling. 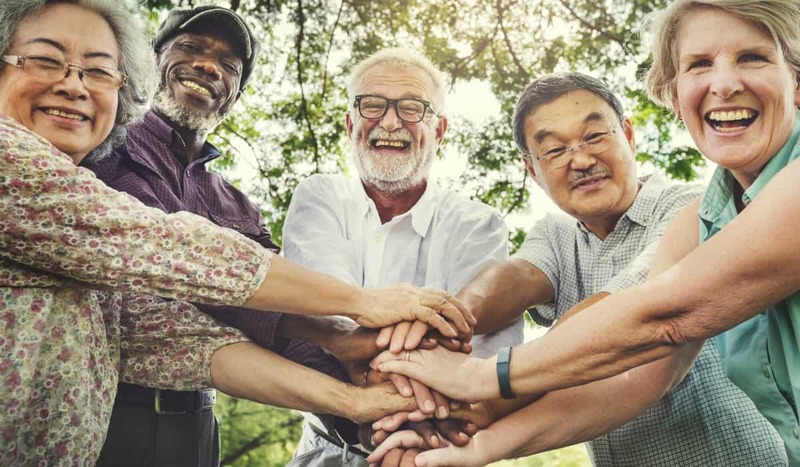 Seniors with diabetes are 30 percent more likely to fall than seniors without diabetes, due to factors such as neuropathy, hypotension, diabetic retinopathy, and others. People with diabetes are also at increased risk of many other more common foot problems, including dry skin, fungal toenail infections, athlete’s foot, cracked heels, corns, calluses, and deformities such as bunions and hammertoes. Fortunately, we do have some good news to share. Almost all of the worst diabetic foot complications can be prevented. You just have to be proactive with your daily foot care, address any problems you notice promptly, and schedule regular diabetic foot checkups with a podiatrist like Dr. Lisa Brandy. If you have diabetes, you should give yourself a thorough foot inspection at least once per day. It’s best to do this at a consistent time, ideally right after a bath or shower. Since you may not be able to feel an injury, you will need to rely on inspecting your feet yourself to identify problems quickly. You should also work with your primary care physician to manage your diabetes and blood sugar as best as you can. Regularly monitoring your sugar, eating a healthy diet, getting plenty of exercise, and quitting smoking are all ways you can limit the amount of damage diabetes does to your body—and keep your feel healthier for longer. If you have diabetes, you should schedule an appointment with a podiatrist at least once per year. If you have a history of foot problems, it may be wise to schedule appointments more frequently. Poorly fitting shoes are one of the biggest risk factors for diabetic foot complications and infections. We can help you find a good pair, or prescribe a pair of custom orthotics and diabetic shoes if necessary. The early signs of neuropathy and poor circulation can often be detected by in-office tests, before you notice symptoms yourself. We can provide medications and exercises to help you manage the symptoms of your neuropathy. We will care for any ongoing foot concerns, such as fungal nails, dry skin, or bunions, which will reduce the risk of secondary complications. For existing diabetic ulcers, we provide wound care services both in our office and at the local wound care center. The goal is to help your wound heal as quickly as possible and prevent or neutralize any infection, to reduce the risk that you will need an amputation as much as possible. If you have diabetes, you need a plan to help you protect your feet, so you can continue to live an active, enjoyable lifestyle. And you need to address any existing foot problems immediately, before they have a chance to worsen. Trinity Foot Center can help you with both. To schedule an appointment with Dr. Brandy, please call (972) 293-9650 today. You can also request an appointment online using our contact form.